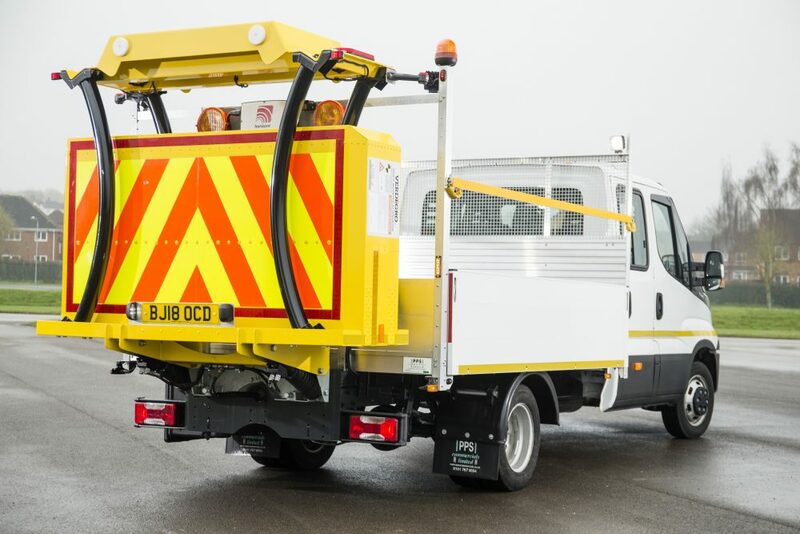 Asset Alliance has extended its traffic management offer by building its first 3.5 tonne Urban Crash Cushion demonstrator, designed to offer increased protection to roadworkers on slower carriageways. 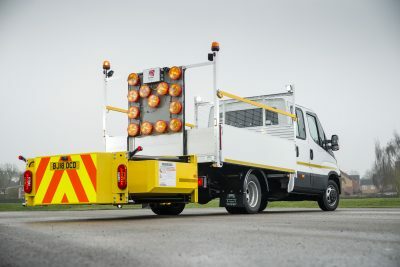 Crash tested to 43 mph, the Verdegro Light Truck Mounted Attenuator (LMTA) is fitted to an IVECO Daily 7-person crew-cab chassis and has an 830kg payload capacity. It can also be specified on a medium wheelbase Mercedes-Benz Sprinter with standard cab, offering a 950kg payload. It is ideally suited for use by local authorities, utilities companies and event management businesses that need to shield workforce and the public. Asset Alliance’s dedicated demonstrator is now available for fleets to trial nationwide – and the company has build slots confirmed for additional vehicles in July. Steve Stanton, Head of Sales for Traffic Management at Asset Alliance, says: “Safety is always our number one priority which is why the 3.5 tonne Urban Crash Cushion is such an important addition to our fleet. Asset Alliance will be introducing the 3.5 tonne Urban Crash Cushion at the APSE Scotland Fleet, Waste and Grounds services seminar 2018, Aviemore, from 15th – 18th May. Asset Alliance Group, which operates independently of any bank, can offer more flexible financing packages than conventional finance houses and provides a wide variety of options from contract hire and hire purchase, to medium and long-term rental.